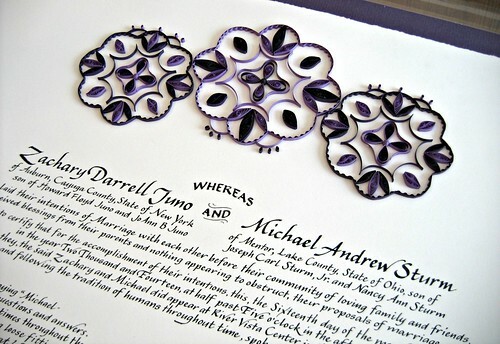 I had the pleasure of quilling this marriage certificate for a couple whose wedding took place a few weeks ago. 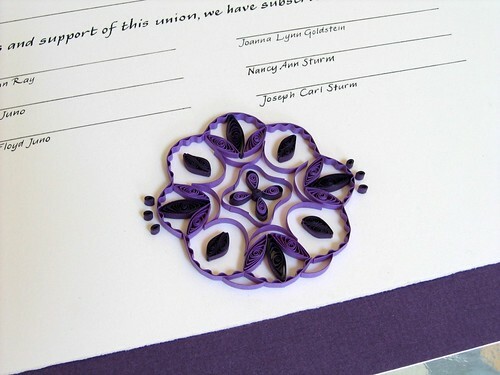 The quilled design was inspired by the lacy mandalas on their wedding invitation. The paper colors were purple and aubergine to coordinate with it. 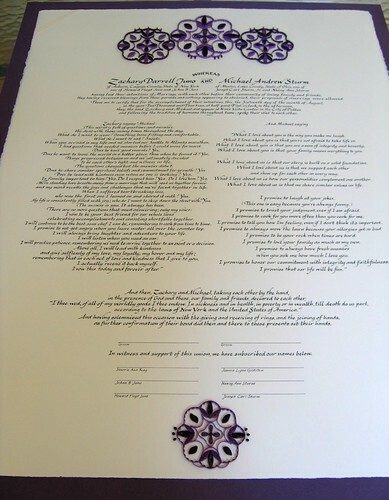 Riva Brown of Living Letters Studio, who I often collaborate with on Quaker marriage certificates and ketubahs, hand-lettered the vows and names. A grid that I've relied on in the past for symmetrical quilled snowflakes was incredibly helpful in shaping the crimped curves, but still, it was measure, measure, and measure again to get the angles just right while doing final gluing. 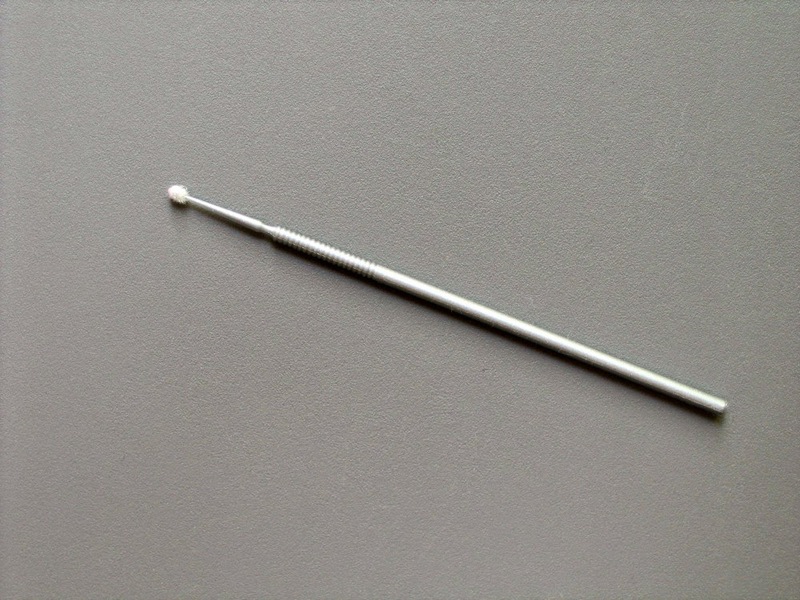 I have a question I hope one of you can answer... where can I buy more of these tiny swab-sticks? I think they may be a rubber stamping tool, used to apply ink in small places. I received this one in a paper craft swap years ago and would be lost without it. People have asked why glue doesn't show on my quilled projects... a. I use a very small amount, and b. this tool. Honestly, it's my secret weapon! Invaluable in whisking away specks of glue along on-edge strips, I use it dry most often, but sometimes I touch it to a drop of water first and then blot the area with tissue. I also did this mat recently... the groom contacted me about quilling their invitation as a first anniversary gift for his wife. How thoughtful is he?! She likes green, neutrals, and rustic textures so we decided on a forest green, linen-covered mat. I quilled my modern scrolls design in ivory quilling paper with a few touches of gold. 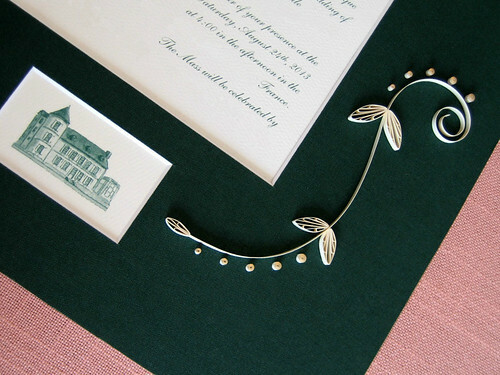 They were married in a French chateau so I suggested the drawing that was printed on the reception card be included in a small cutout below the invitation. Ann I think I've seen those little swaps in the model car section of Hobby Lobby. Good idea, I'll check. Thanks for the tip! Awesome work as always! I'm not sure about the swabs but I use the cuticle pusher in this kit http://www.cvs.com/shop/product-detail/Trim-Smart-&-Complete-Personal-Kits-From-Tip-to-Toe?skuId=405668 for cleaning up glue! Thanks Sarah! Good idea for an alternative tool. Ahh, thank you - that's it! Micro brush - the perfect descriptive name. Two beautiful pieces! Your work is exquisite. Your certificate and invitation are beautiful. What wonderful keepsakes. Thank you for posting that question about the tool. 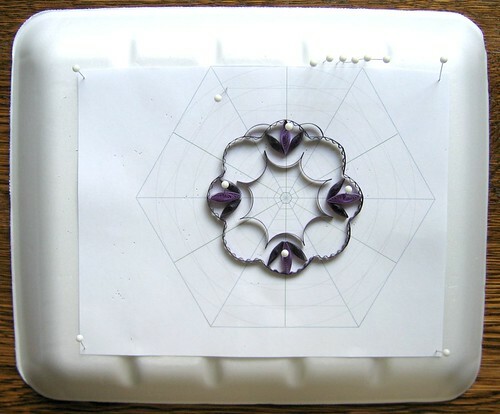 It looks like it would be very useful applying glue to intricate die cuts - something I could use. Thanks so much, Lorraine. I'm glad you found the tool question helpful too. It's tiny, but very useful! Thanks Cecelia! Happy to share... it is truly a favorite tool. Just fantastic! Thank you for sharing. Thanks for sharing your techniques yet again Ann. Your quilled design looks gorgeous. I can only imagine how much more beautiful it would look in person. Happy to finally see your little brush!!. Thanks, Suganthi, I'm happy you enjoyed the post.